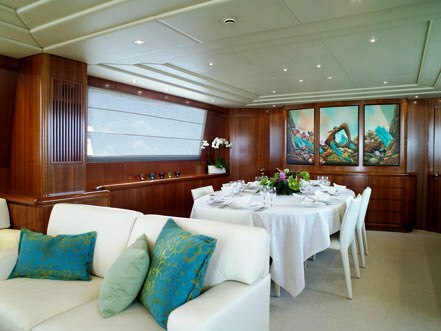 Luxury charter motor yacht OURANOS is a 30,00m (98' 5") Falcon built in 2002 and refitted in 2007. 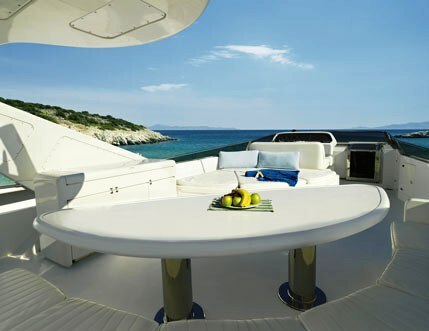 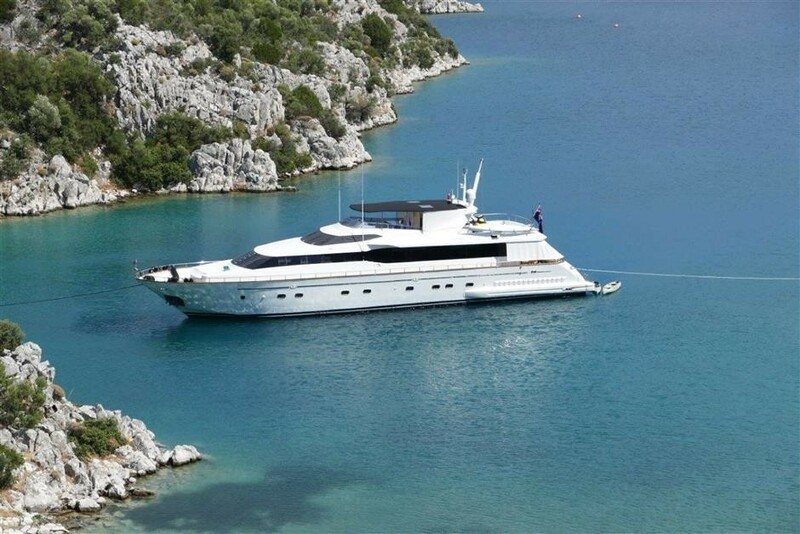 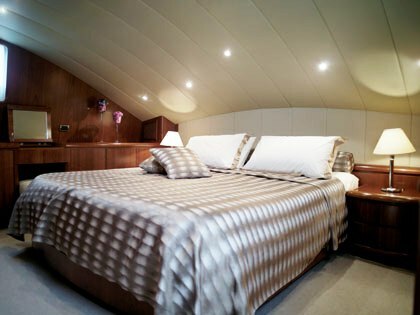 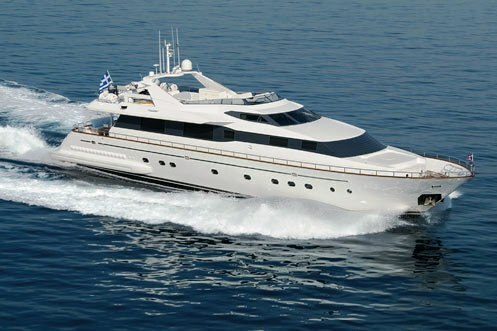 The yacht can accommodate 10 guests in 5 cabins and she is base in Greece year round. 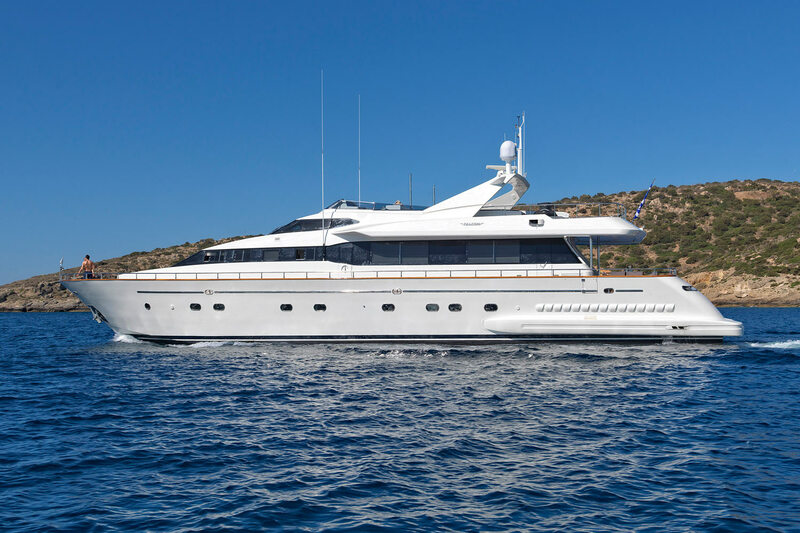 OURANOS offers a blend of strength and style with her streamlined profile and finely appointed Italian designed interior. 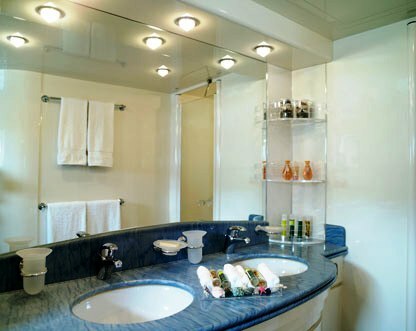 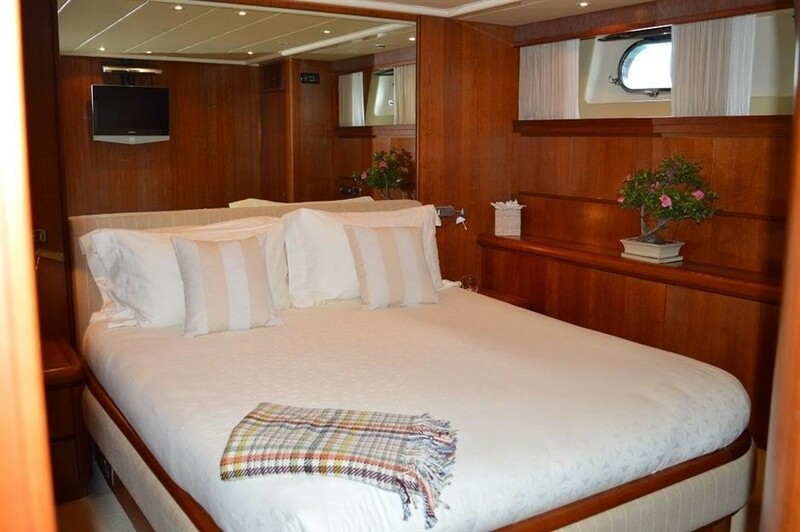 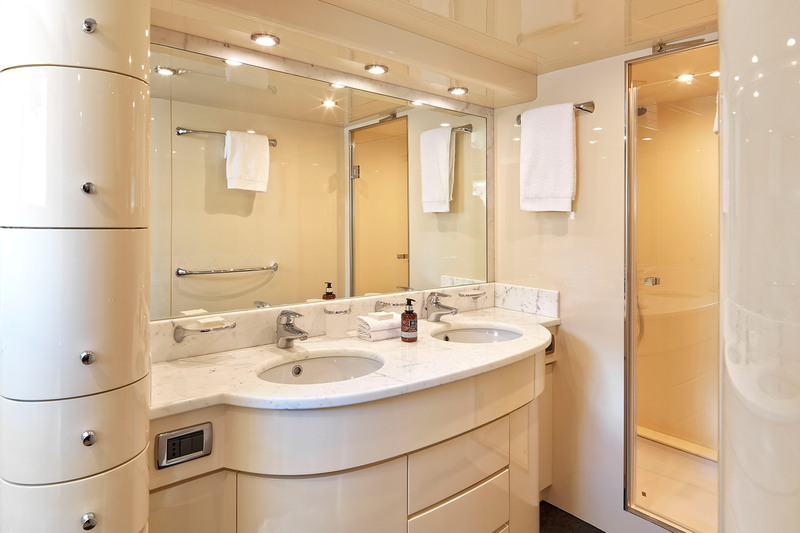 Motor yacht OURANOS received an interior refurbishment in 2007 which included new carpets, new sofas, new bed and bath linen. 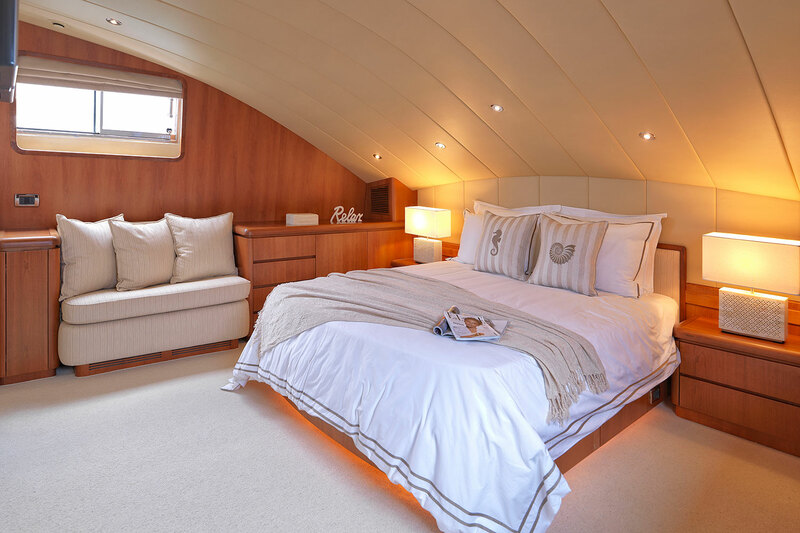 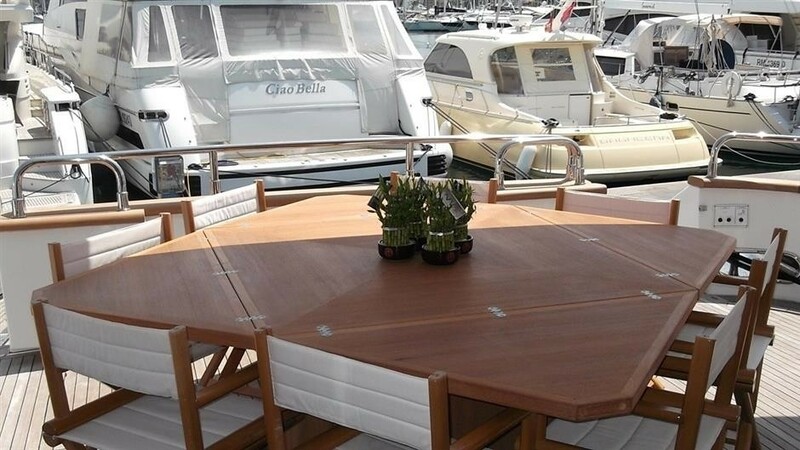 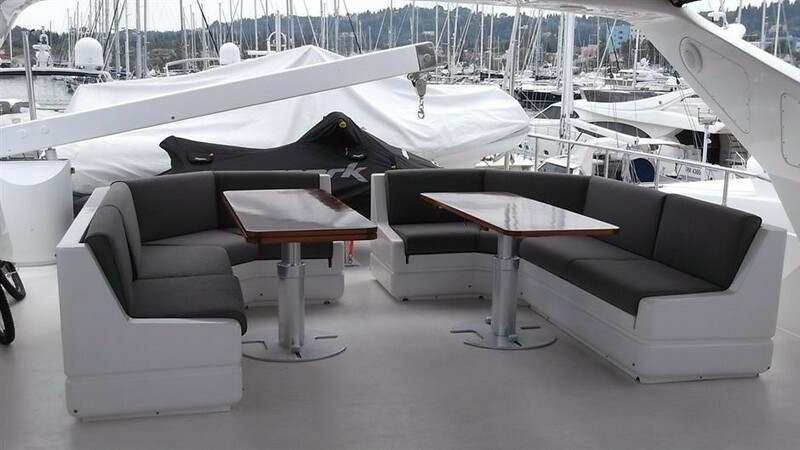 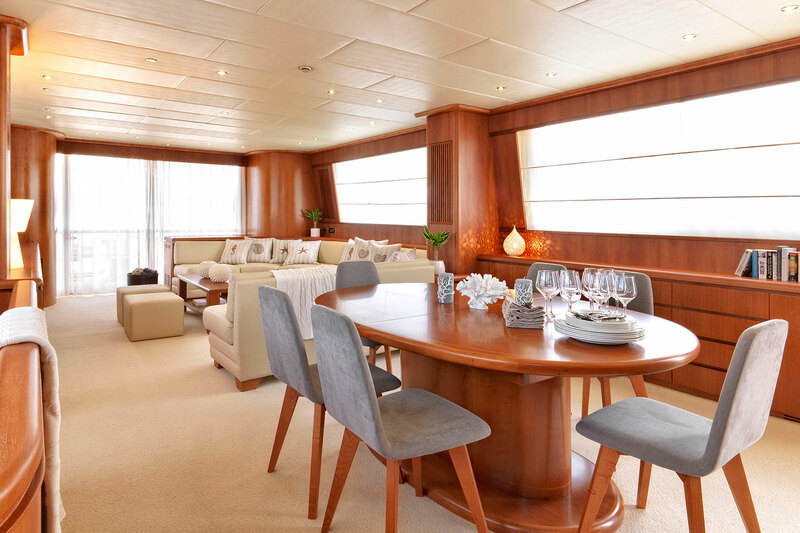 The yachts interior is stylish, tasteful and modern with warm wood panelling combined with soft white leather furnishings along with splashes of colour adding some vibrancy. 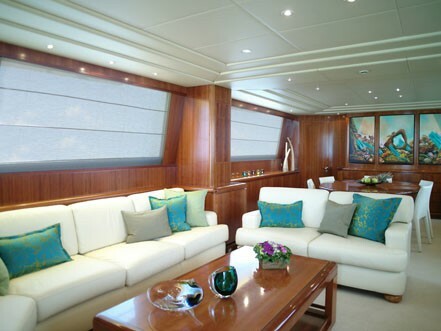 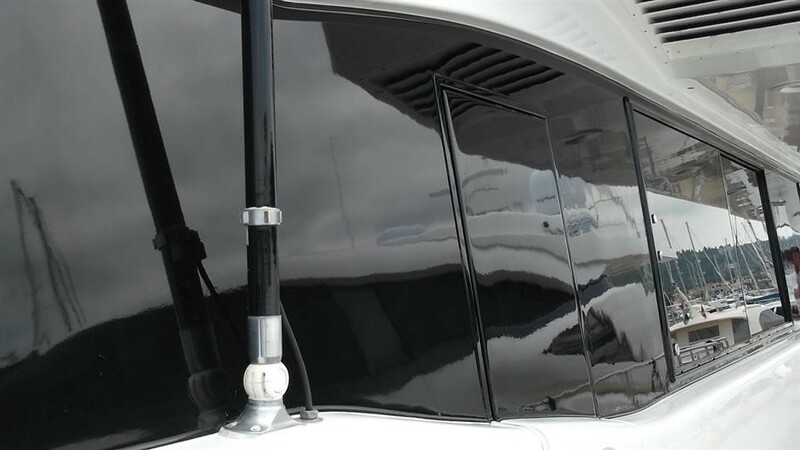 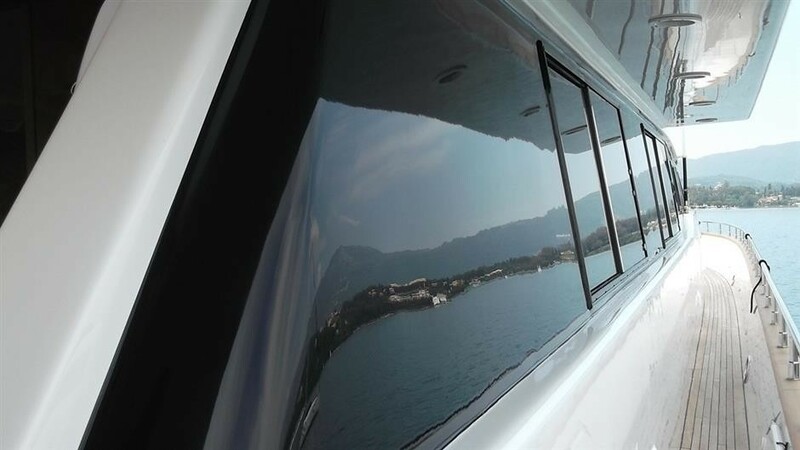 OURANOS features the latest audio visual systems throughout the boat. 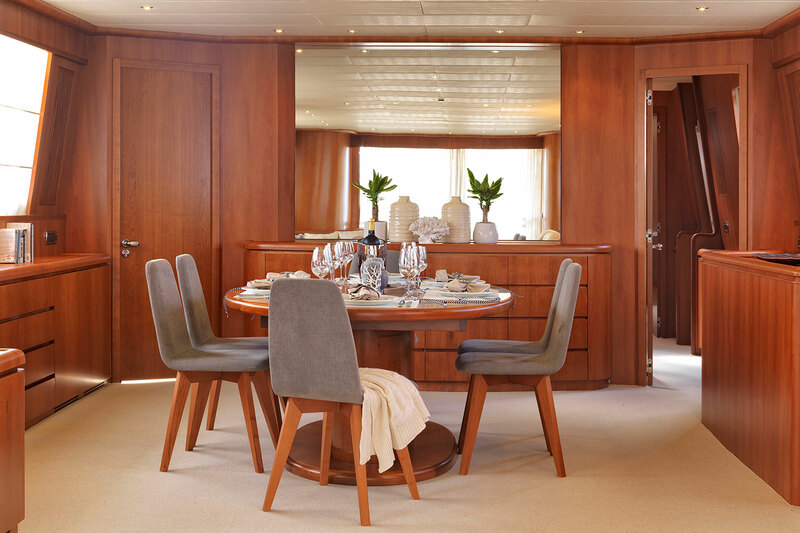 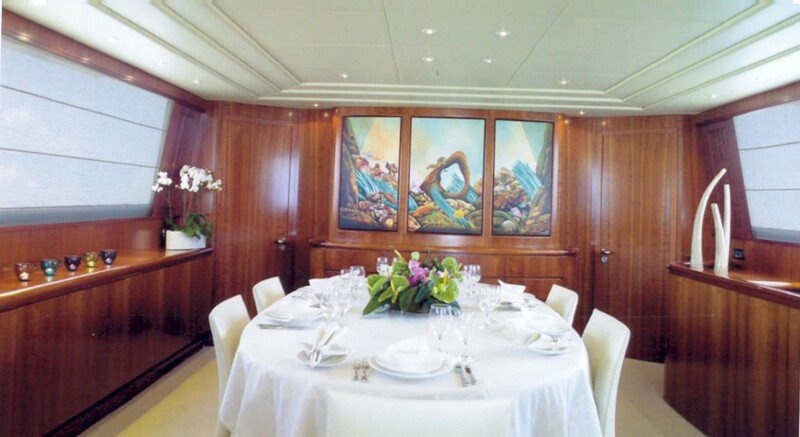 Gourmet food freshly made by the chef in the fully equipped galley, conscientious service from the crew and the finest Italian designed in interior fittings creates an ideal setting for formal dining. 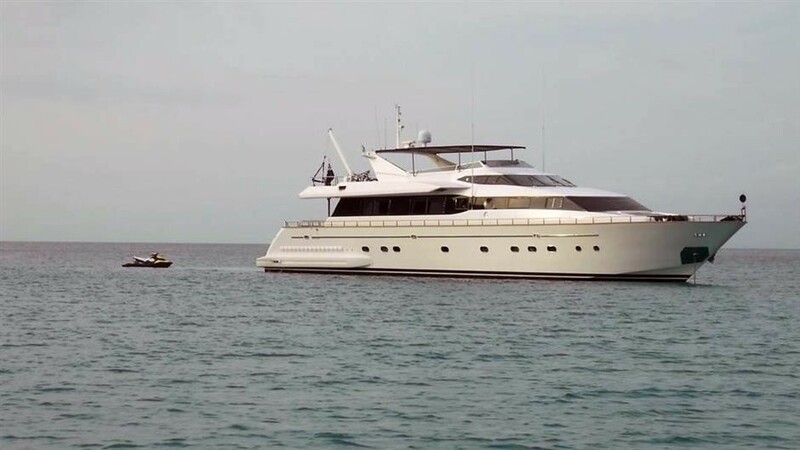 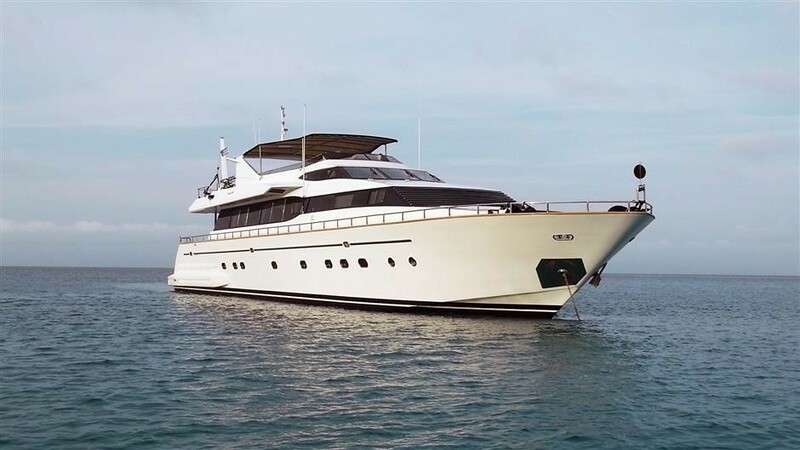 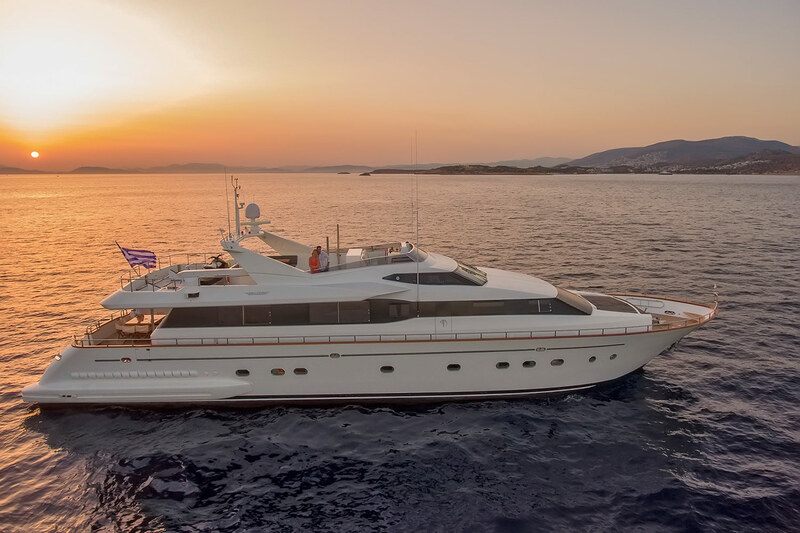 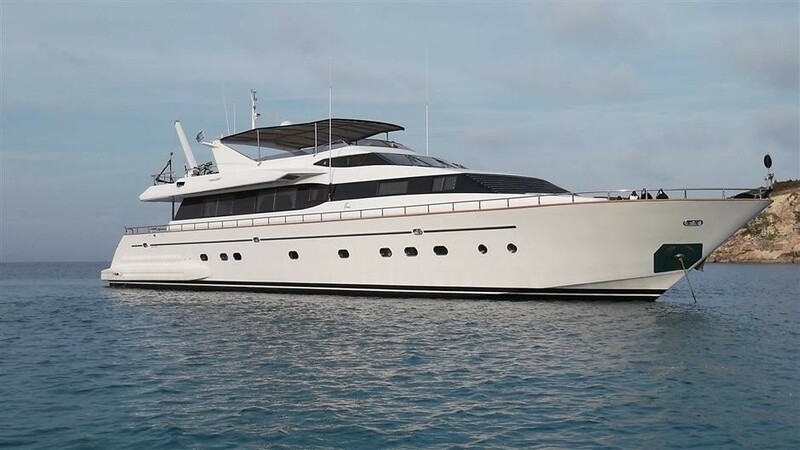 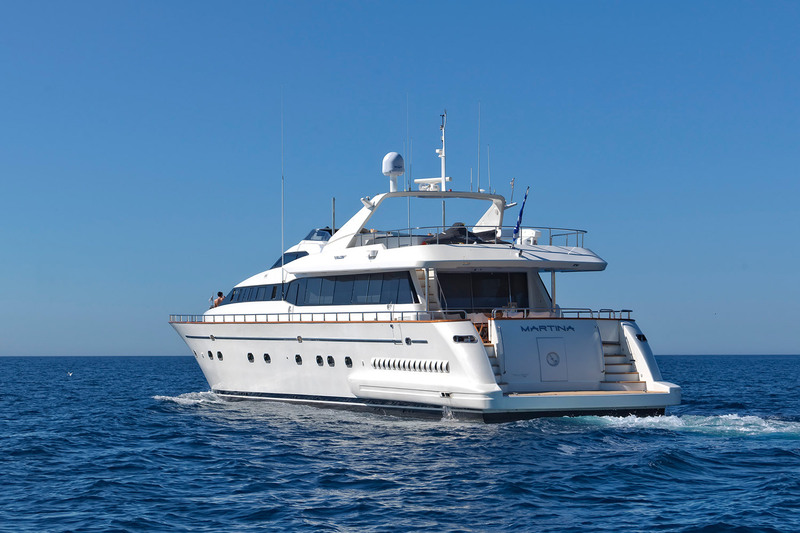 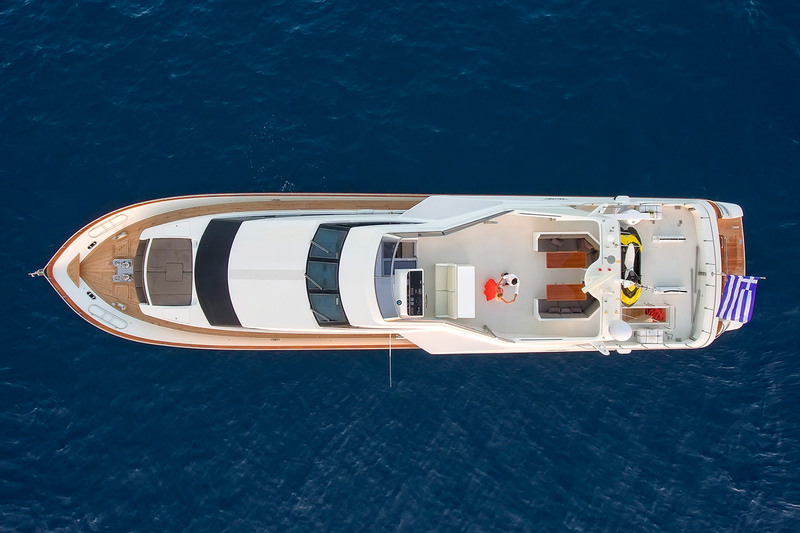 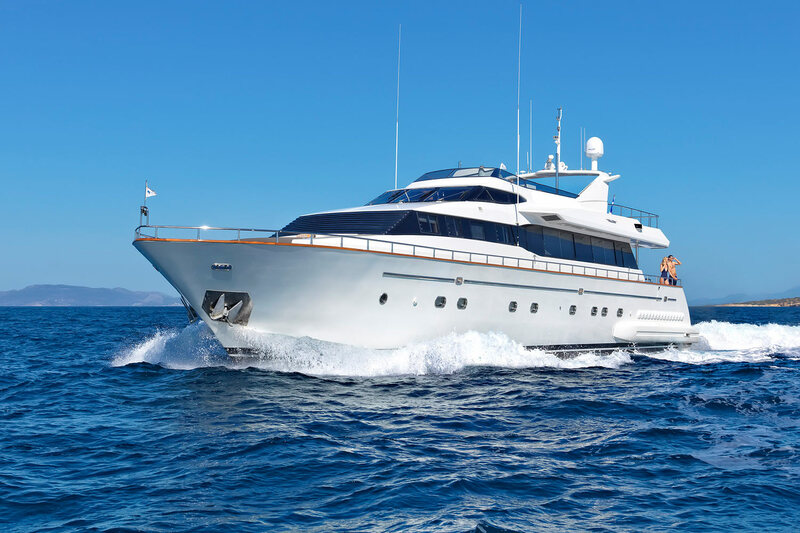 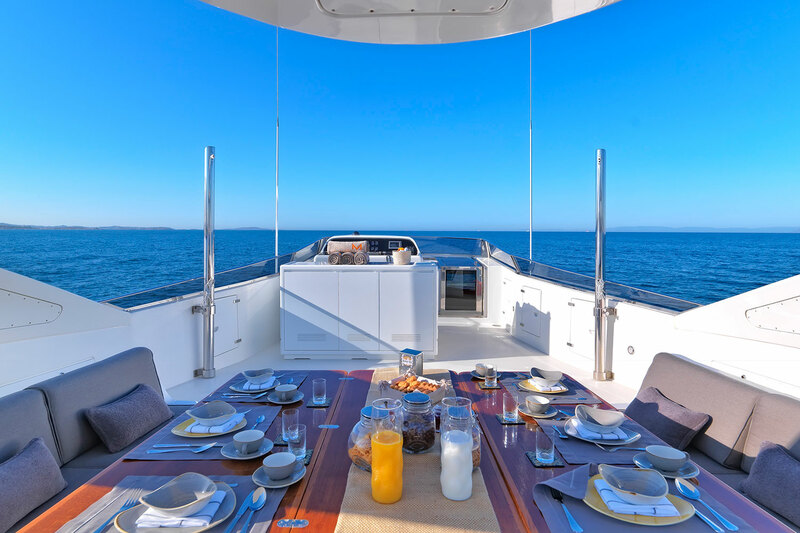 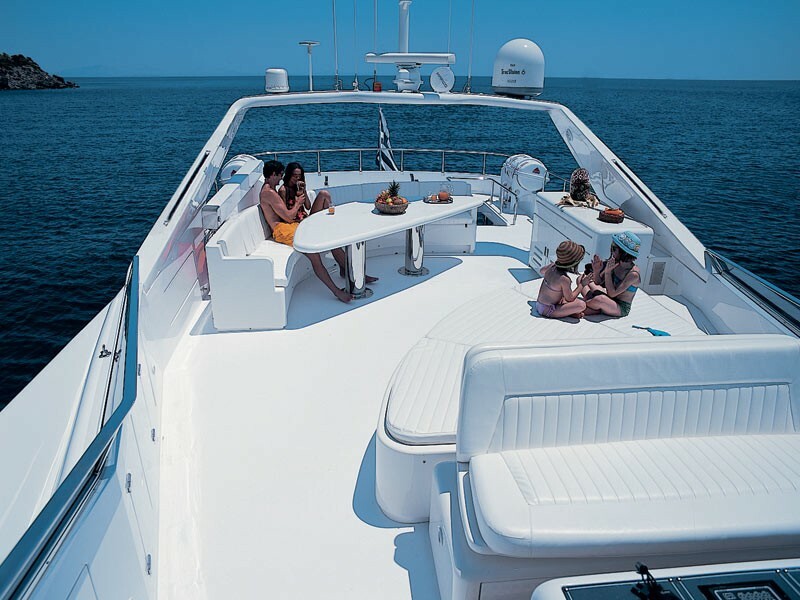 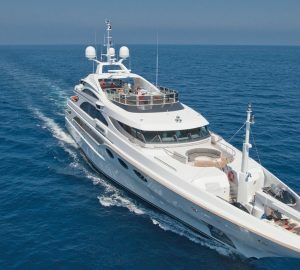 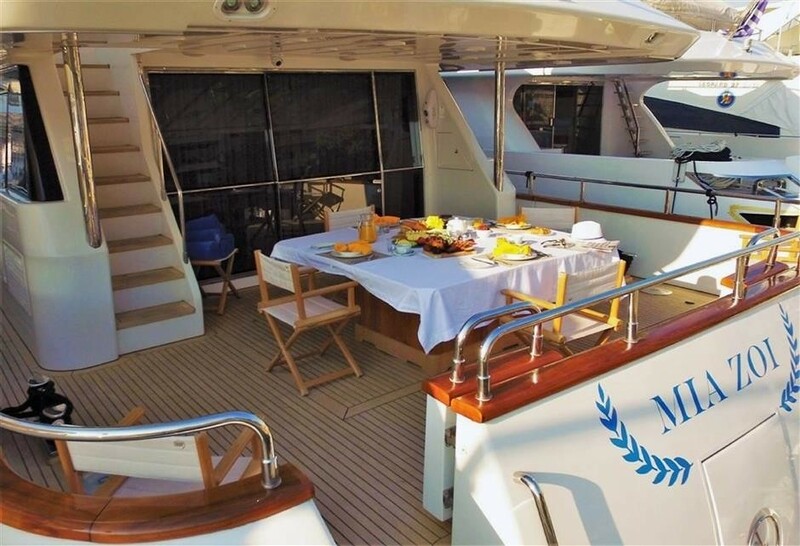 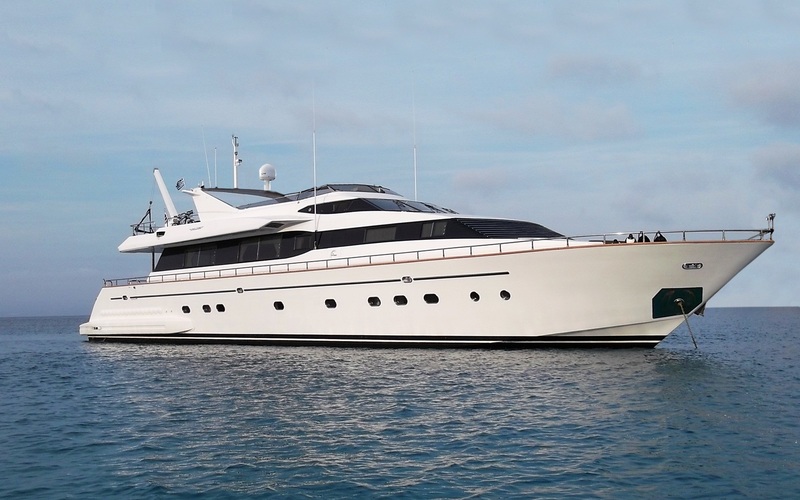 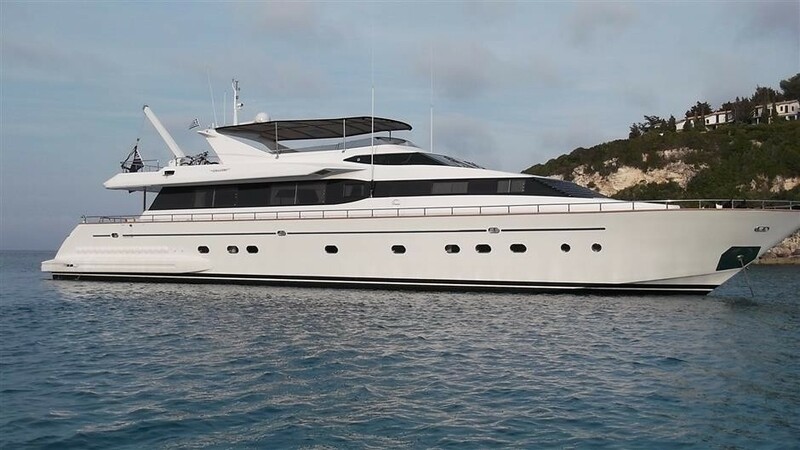 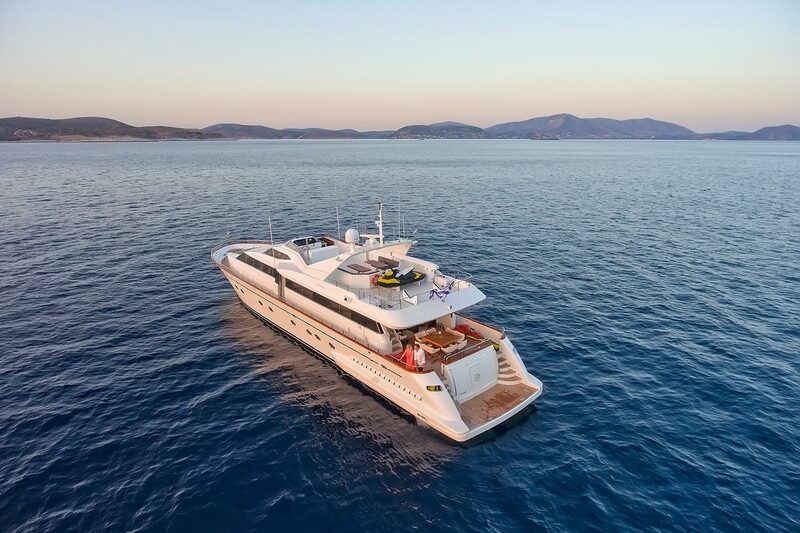 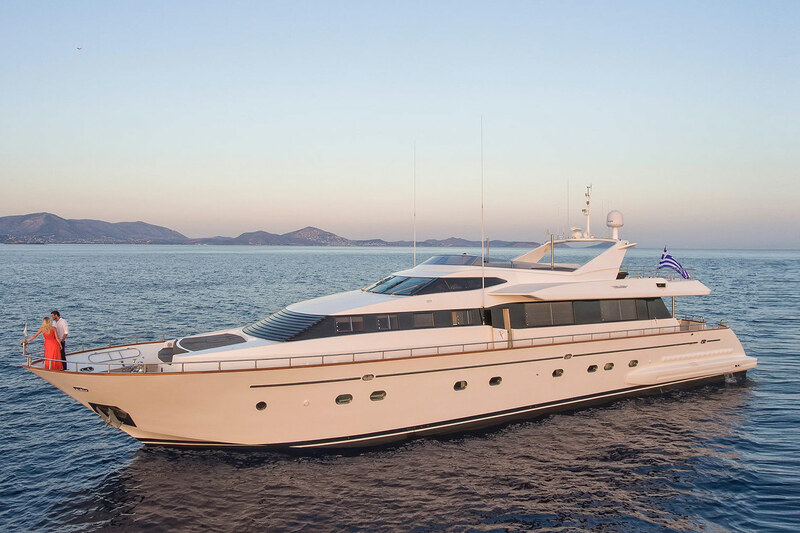 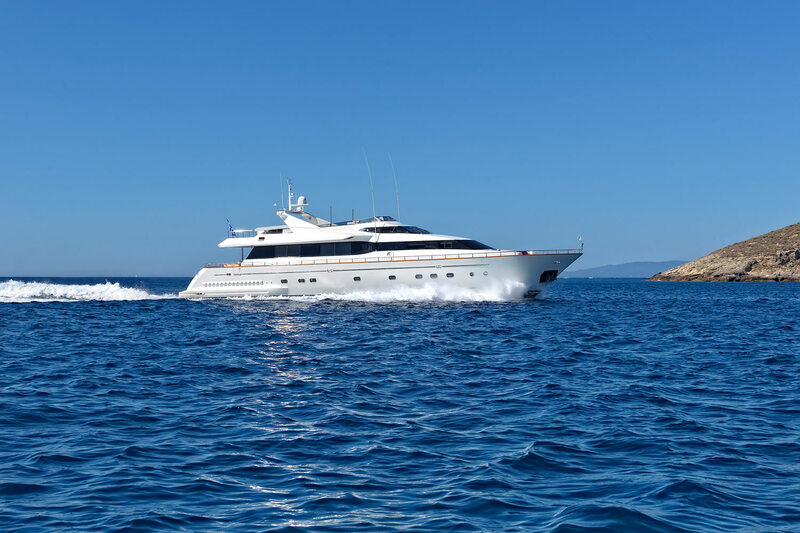 Motor yacht OURANOS can accommodate up to 10 guests in 5 cabins. 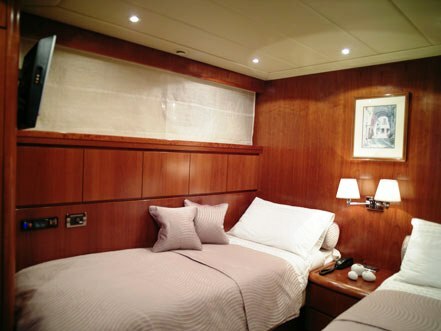 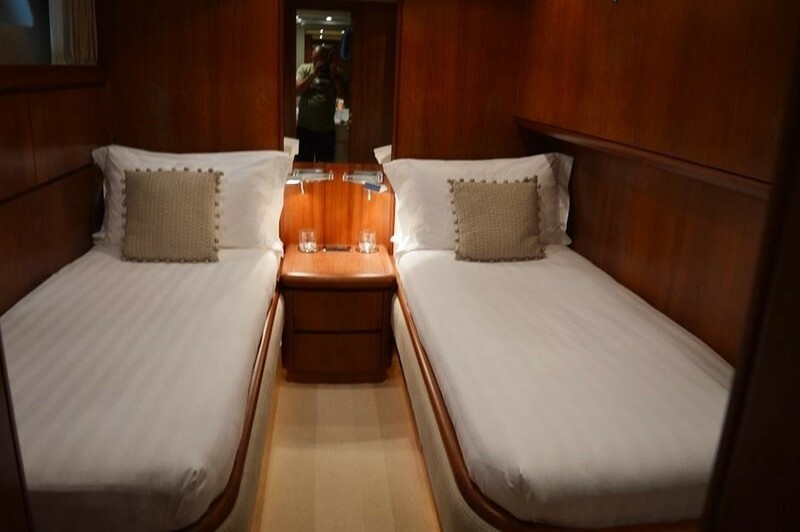 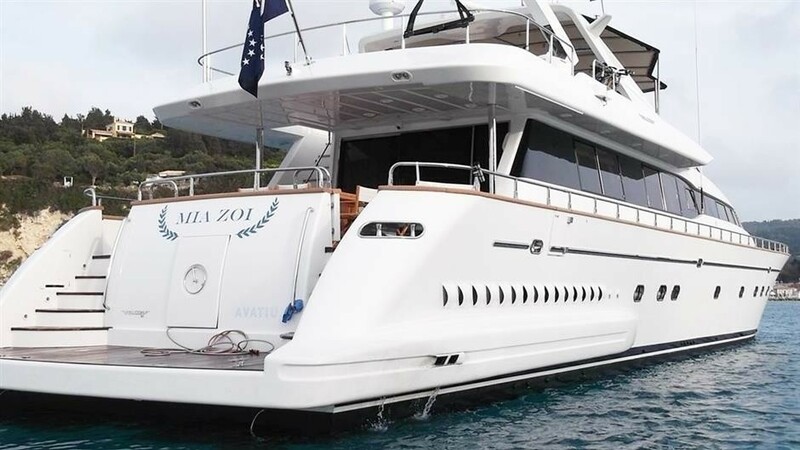 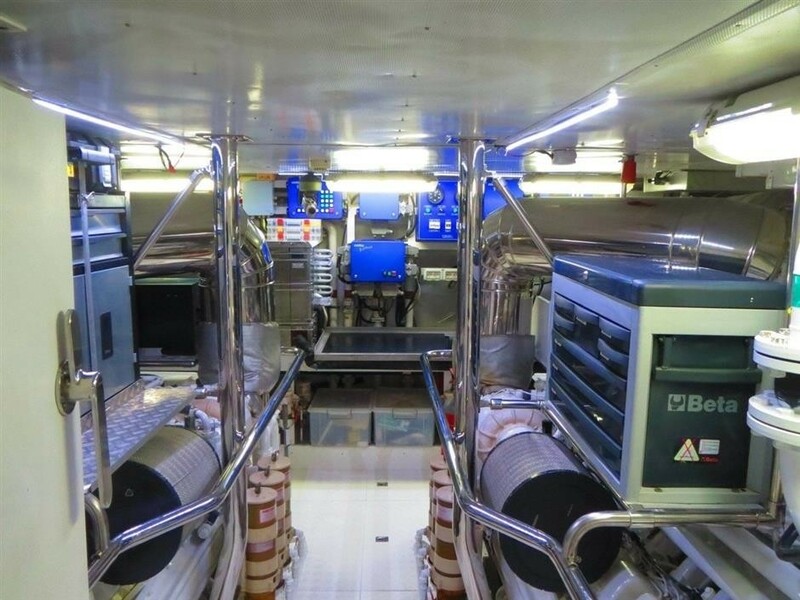 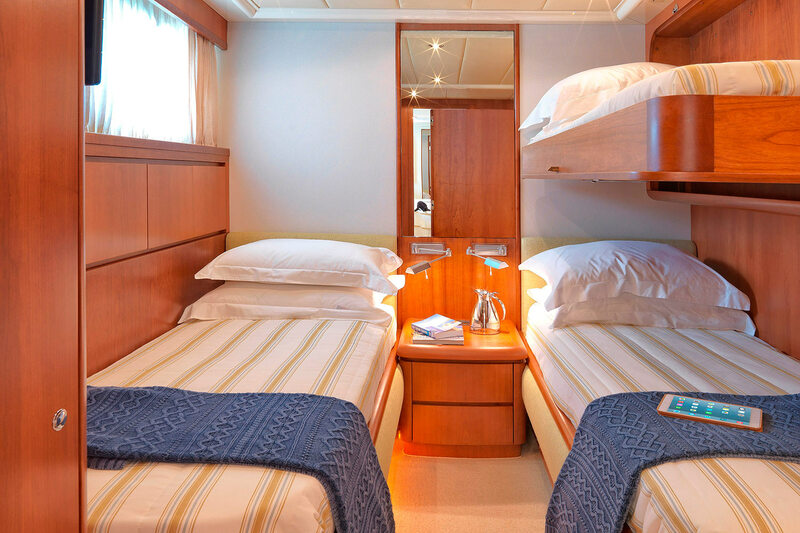 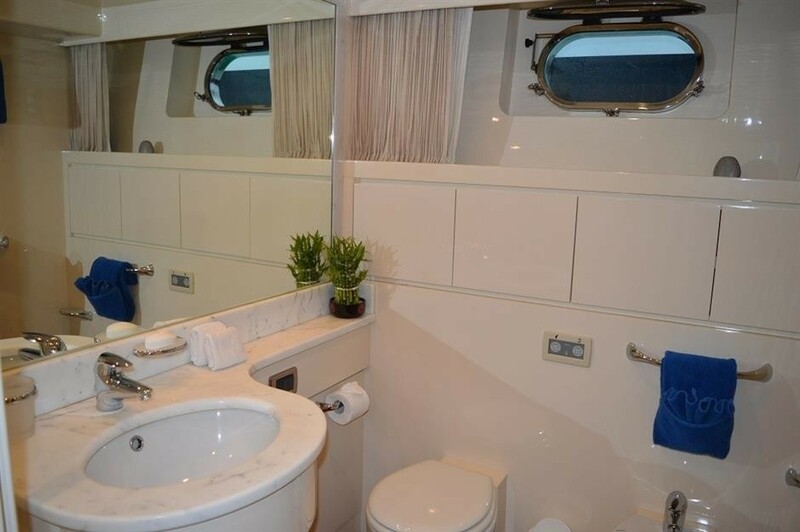 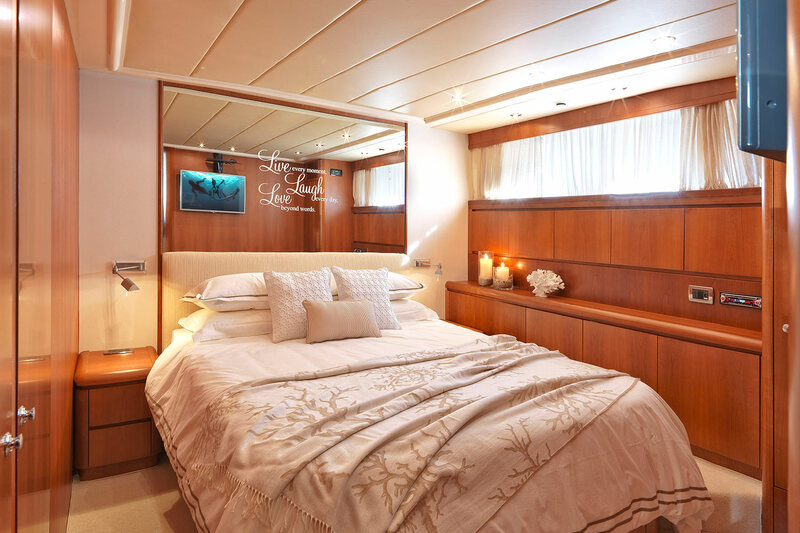 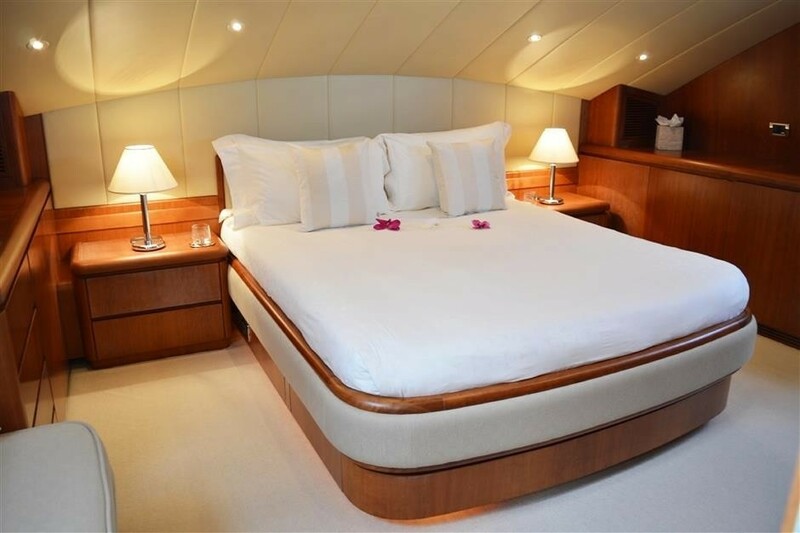 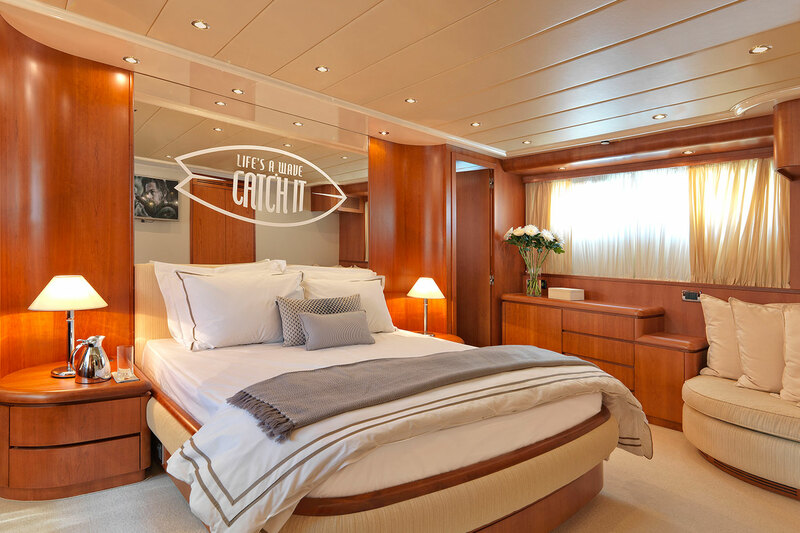 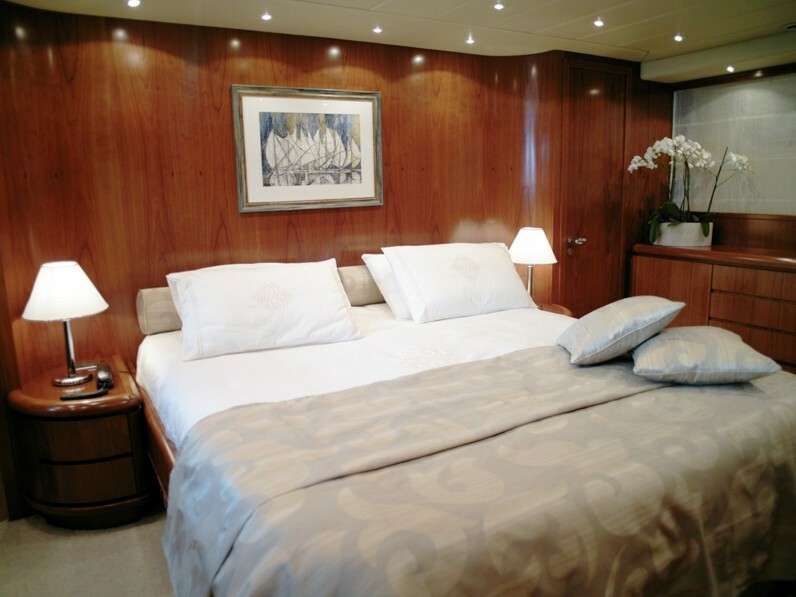 Her Full width VIP cabin is located forward on the main deck and has a Queen Size bed and en-suite bathroom. 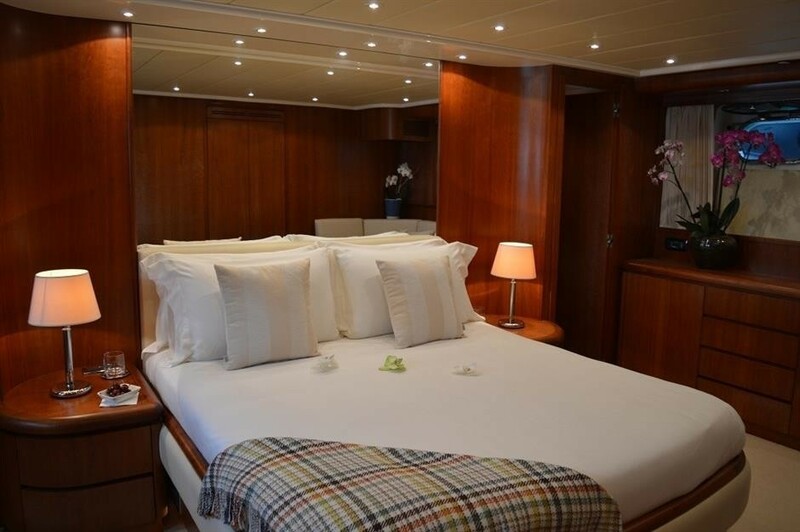 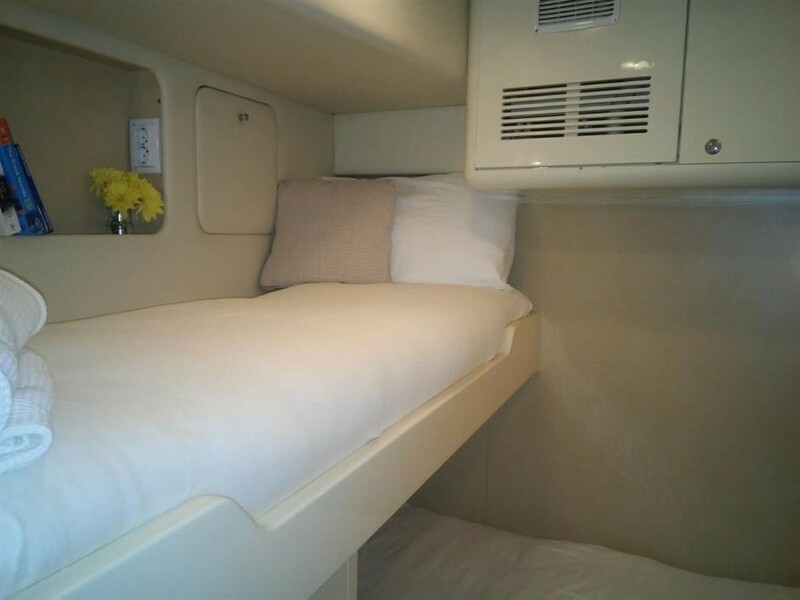 The remaining cabins are on the lower deck and include a full width Master Cabin with King size bed, walk-in wardrobe and en-suite spacious bathroom, a double cabin with Queen size bed with en-suite bathroom and 2 twin bedded cabins with en-suite bathrooms. 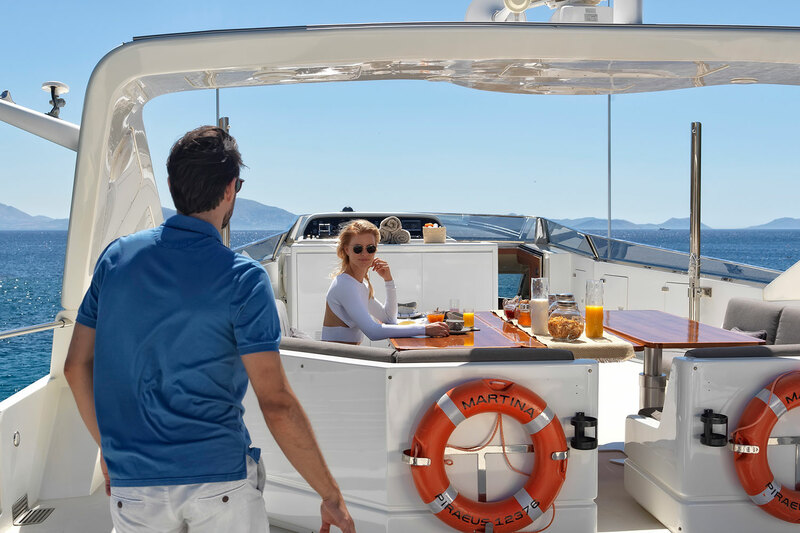 M/Y OURANOS also has wonderful deck spaces which are ideal for al fresco dining or sunbathing including the aft deck providing shaded seating for 10, and flybridge with a Bimini, icemaker and BBQ or the forepeak area. 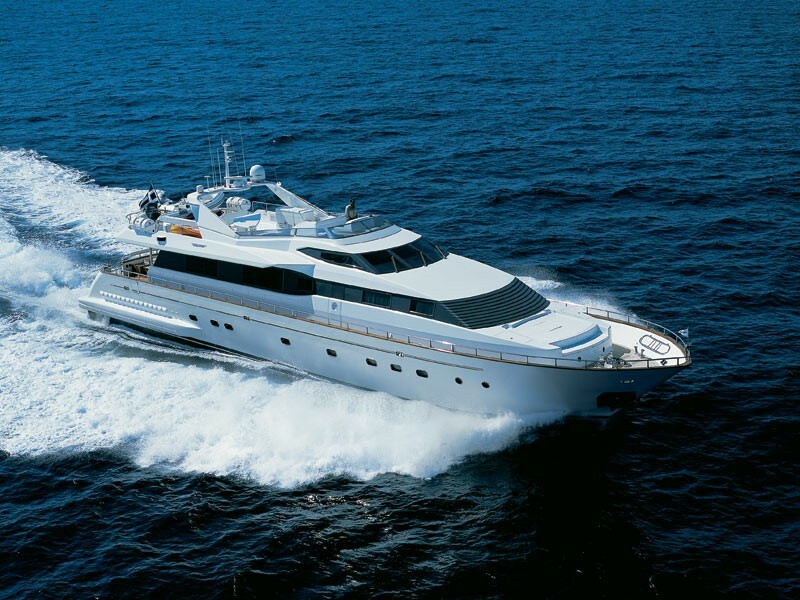 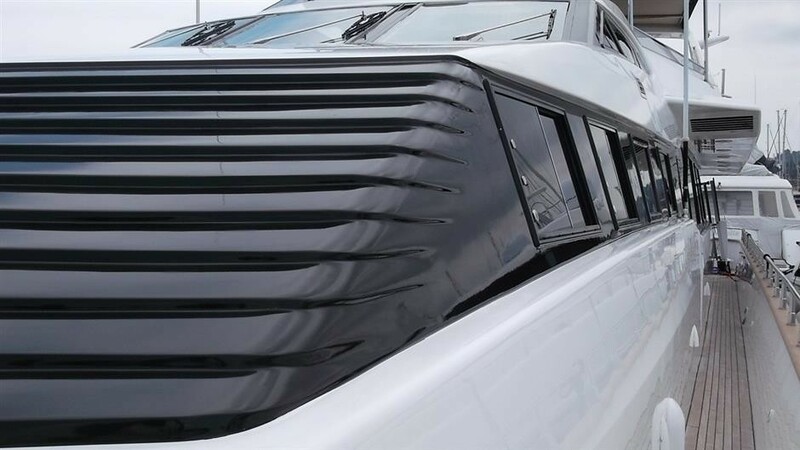 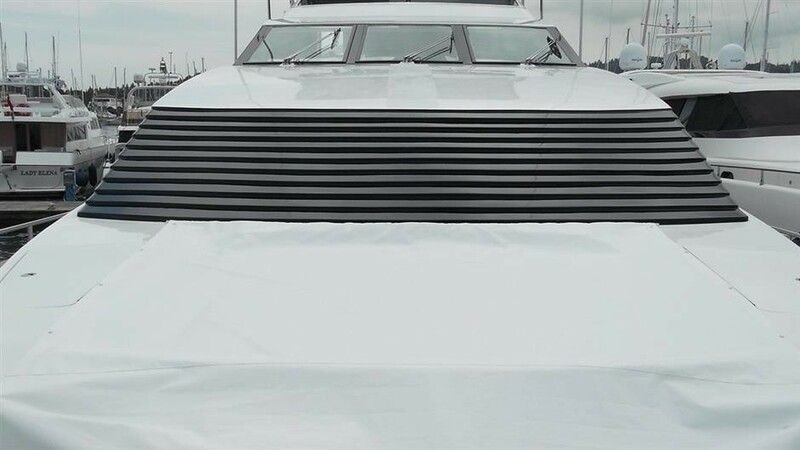 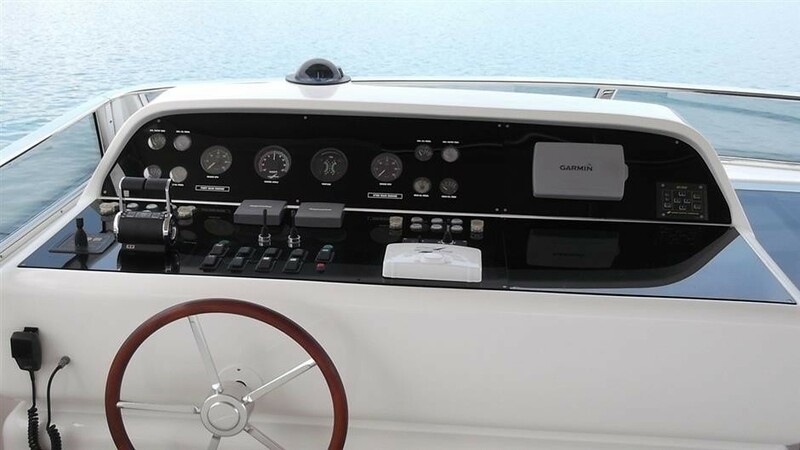 Dual MTU engines enable the yacht to cruise at a top speed of 27 knots. 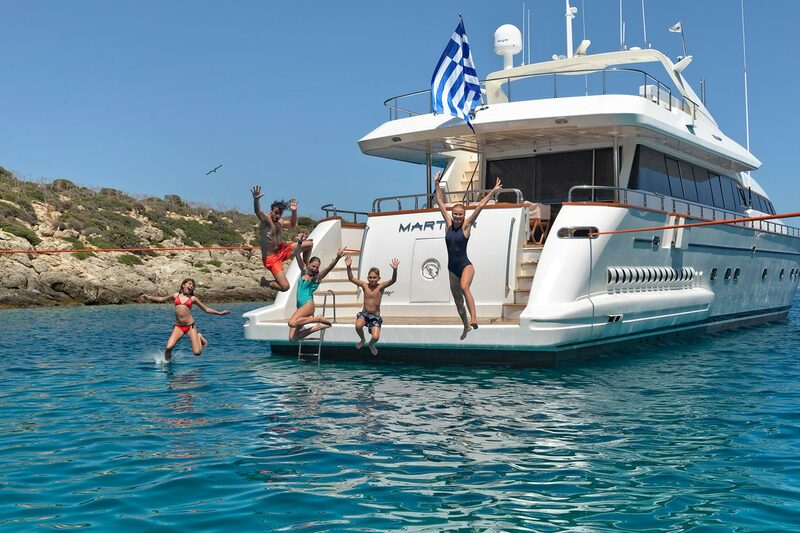 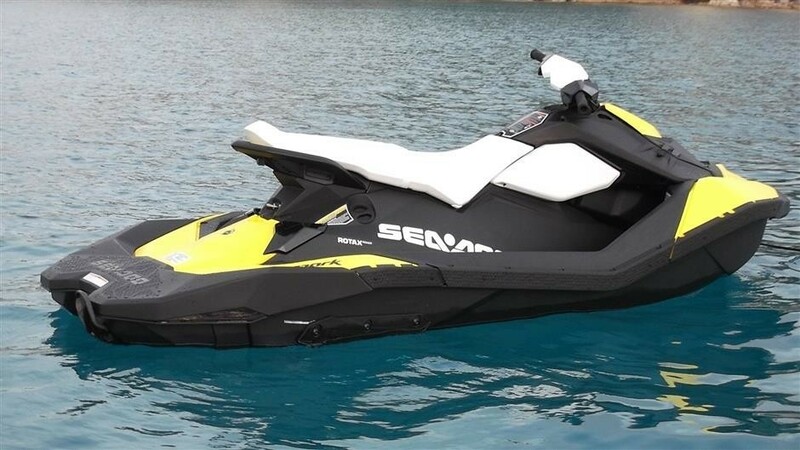 At anchor enjoy windsurfing, water skiing, snorkelling and fishing, visit unspoiled secluded beaches with the 4.30m NOVURANIA tender or jet ski, or simply dive from the swimming platform into the stunning Eastern Mediterranean sea. 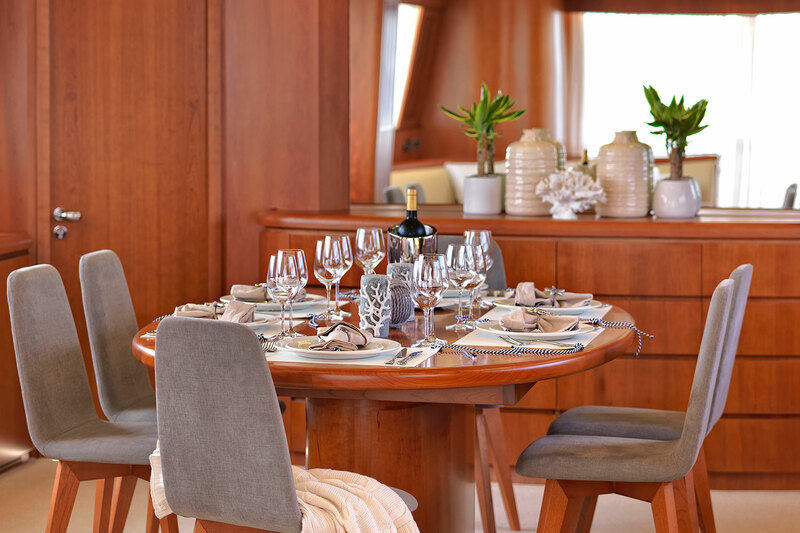 OURANOS has a professional crew of six accommodated in separate quarters. 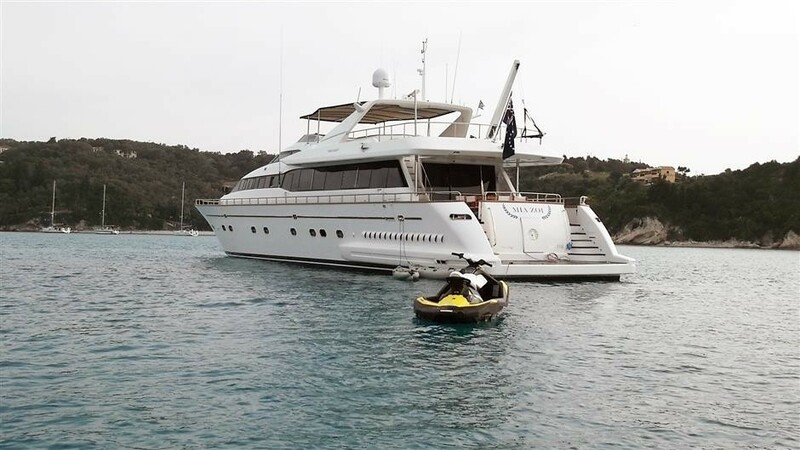 M/Y OURANOS has a great range of Tenders and Toys including a 4,30m NOVURANIA tender with 50hp Yamaha outboard, a jet ski, Snorkelling Gear, a Kneeboard, Fishing Equipment and Water Skis. 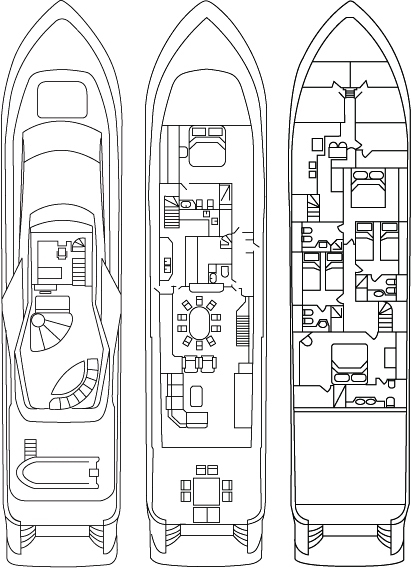 Communications onboard include a GSM phone and Fax, and a Laptop with internet connection. 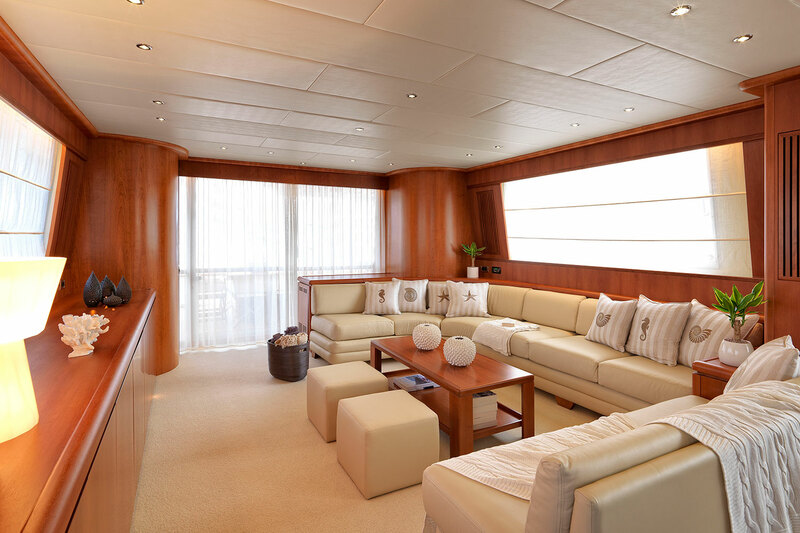 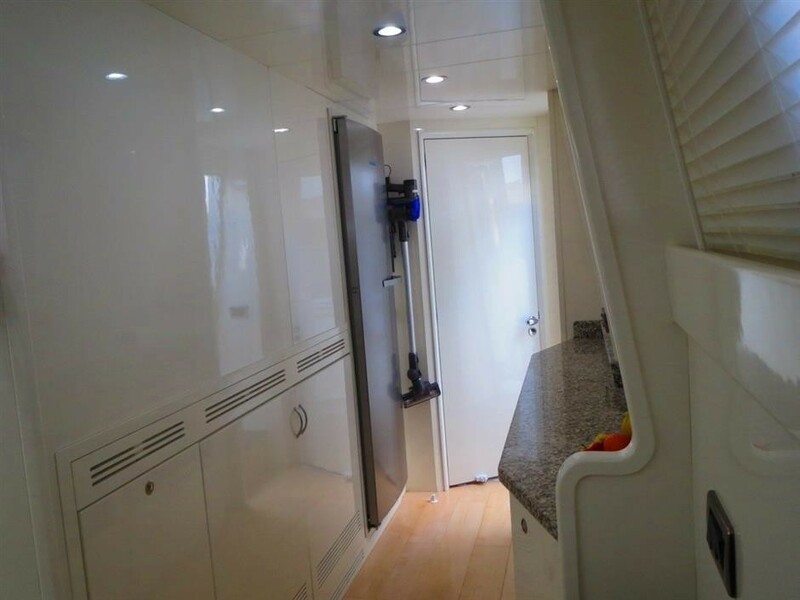 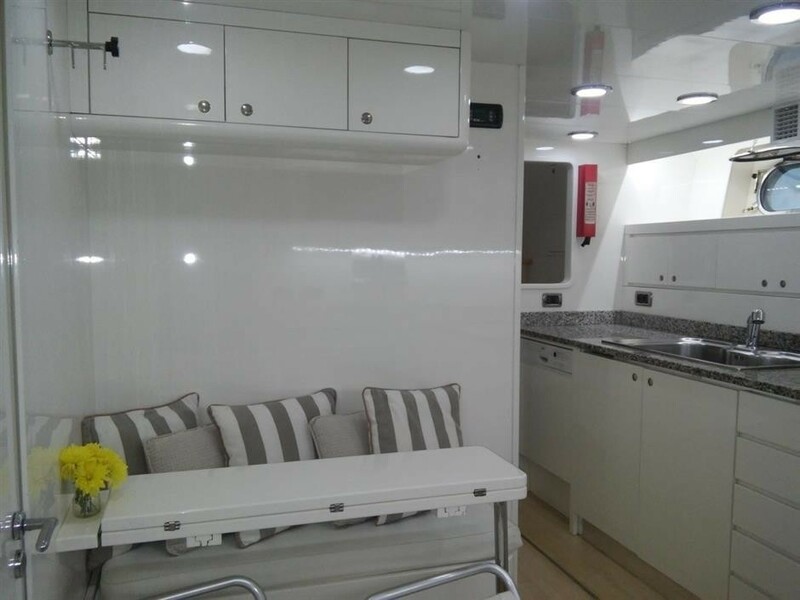 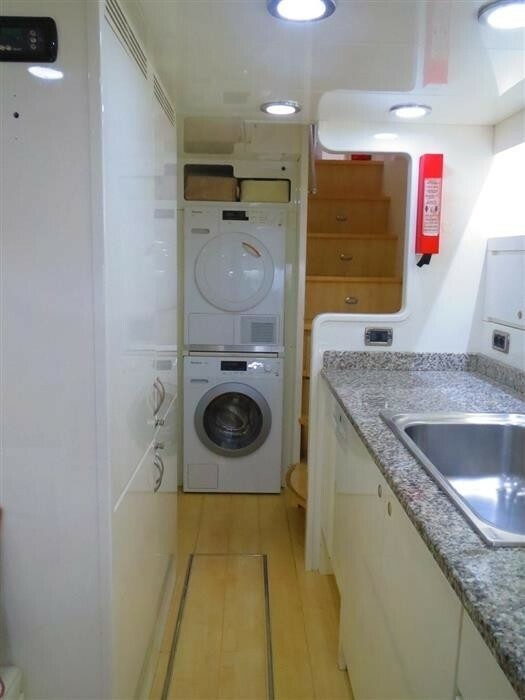 Audio Visual Equipment and Deck Facilities include HD TV, SAT TV, DVD, CD Player, ipod docking station in the Saloon, HD TV, SAT TV, DVD, CD Player in the guests cabins (each cabin has a separate receiver) Large DVD and CD libraries.